One of the worst feelings a person can experience is the one that comes when they hear about a dire diagnosis of a loved one’s health. It’s overwhelming and leaves you feeling helpless. It also comes with so many questions: What does this mean? Could I have done anything to prevent it? Is he/she going to die soon? What can I do to make things better? While there’s no way to turn back the clock, it’s good to be able to identify early warning signs of certain conditions. Early detection can make a big difference by improving the prognosis or in providing the patient with the best quality of life possible. Such is the case with Parkinson’s Disease. Parkinson’s Disease (PD) is a progressive disorder of the nervous system. It causes brain cells to die, which results in abnormal brain activity and impairments on motor skills, speech, and cognitive abilities. Its cause is unknown, but it’s believed to be derived from genetic mutations or toxins in the environment. 1. Tremors: While most people are familiar with the shaking that comes along with this illness, it usually starts with less noticeable tremors. It could be just a finger, or the chin before it overtakes the hands or face. 2. Interrupted Sleep: Parkinson’s Disease can first present with sudden jerking movements when laying down to sleep. These movements can result in frequent disruptions in sleep throughout the night subsequently causing the patient to be exhausted during waking hours. 3. Difficulties When Writing: If once upon a time, you could write without any issues, but now getting the words on paper is burdensome or if you’ve noticed significant differences in your handwriting, this is cause for concern. 4. Stooped Posture: Parkinson’s will often make it difficult to stand up straight. While by itself, poor posture is not necessarily a sign of PD, coupled with some of the other symptoms on this list, it’s a red flag. 5. Walking Becomes Difficult: Walking is something that most people take for granted… until this most mundane of activities becomes painful. Whether it’s hard to move your arms as you walk, or your legs feel stiff, or you are taking small shuffling steps, these are early signs of PD. 6. Difficulty Maintaining Balance: The reason a patient with PD has difficulty maintaining balance is a result of other symptoms: muscle stiffness makes it hard to take wide steps and swing the arms, and the limited range of motion makes it difficult to walk. As a result, a patient with Parkinson’s Disease may be prone to falling. 7. Limited Range of Motion: This is due to constant muscle stiffness, even if you haven’t changed your daily routines. 8. Constipation: People with Parkinson’s Disease may experience regular constipation, even if they haven’t made any changes to their diet and even if they consume enough fiber. This is due to the digestive system slowing down. 9. Incontinence: PD can also cause a person to lose control of their bladder. This can manifest either in urinating on themselves or being unable to urinate despite having the urge to do so. 10. Voice Changes: Regular speech includes different inflections to show emotion or to fully communicate whether the statements are an exclamation or a question. However, a patient with Parkinson’s Disease will notice that they are speaking in a monotone voice, even if that’s not their intention. 11. Difficulty Sounding Out Words: In addition to a monotone voice, a patient who’s experiencing early signs of Parkinson’s Disease may find that they have difficulty pronouncing certain syllables. As a result, they may start speaking in shorter utterances. 12. Slurred Speech: As you can see, PD comes with many changes to a person’s ability to communicate verbally. Slurred speech is yet another sign that something is wrong. 13. Quiet Voice: The speech difficulties resulting from Parkinson’s Disease can cause hypophonia. This is a lack of coordination of vocal cords, makes a patient’s voice sound much quieter than intended. In females, the voice may sound hoarse. In males, the voice may sound breathy. 14. Dizziness: This is due to low blood pressure, coupled with the difficulty in maintaining balance. 15. Loss of Smell: Some people’s sense of smell is more acute than others, but if you can’t smell strong-smelling things, such as onion, coffee, or frying grease (and you don’t have a common cold), it may be an early indication of PD. 16. Drooling: Parkinson’s Disease makes swallowing difficult, which leads to an accumulation of saliva in the mouth and subsequent drooling. 17. Rigid Facial Muscles: Since PD makes it difficult to move muscles, a patient may have difficulty changing their facial expressions, even when attempting to express joy or surprise. 18. Vacant Stare: In addition to an inability to move facial muscles, Parkinson’s Disease may cause the blinking process to slow down or cause it to stop for long periods of time. 19. Sleep Apnea: Because Parkinson’s Disease can also affect the muscles in the esophagus, a patient may experience sleep apnea. This condition causes the patient to stop breathing while sleeping, which causes them to suddenly wake up as they gasp for air. 20. Thinking and Memory Problems: This is part of the disease’s deterioration of cognitive abilities. Recalling information may become difficult. This can keep the patient from being able to process information fast enough to keep up with a conversation. It’s important to keep in mind that many of these symptoms can start so mild that you may not even notice them. This can cause the illness to go undiagnosed for years. However, since the condition is chronic, symptoms will worsen over time and become more pronounced. As the disease progresses, all of these effects significantly impact a patient’s independence and quality of life. Finding out your aging parent is suffering from Parkinson’s disease is a truly life-changing moment for your parent and for you as their family caregiver. You suddenly find yourself at the beginning of what will likely be an extremely challenging care journey characterized by a wide variety of symptoms and limitations that can change quickly and without warning. You know that much of what you thought about your future and the future of your aging parent, or what you planned for the care you were going to give them is no longer applicable and you will need to change your approach to handle what they go through as they move through this disease. As you are dealing with this news and preparing yourself for the challenges that lay ahead for your parent and for you, one of the best decisions you can make for them is to start home care services. Having an elderly home care services provider in the home with your parent from as early as possible in the disease can make a tremendous difference in your parent’s quality of life, health, and well-being throughout the progression. 1. Getting them accustomed to the care: Particularly if your elderly loved one has always been fairly independent and active, the need for care and the realization they are suffering from a condition that threatens their health, well-being, and function can be upsetting. Starting the home care early is a way to help your parent get used to the idea of care as well as the care provider as an individual. Getting accustomed to this care now can help them to cooperate more and feel more at ease for when they require additional care later. 2. Protect their mental and emotional health: Knowing they are suffering from Parkinson’s disease can be emotionally stressful and challenging for your parent. The highly personalized services of a care provider can help your parent to have a better outlook on their future and to find ways to continue to find fulfillment as they move forward in their life. This can help them to prevent loss of motivation, depression, and other potentially serious issues. 3. Proactive rather than reactive care: There is no way of knowing for sure what types of symptoms your aging parent will experience or how quickly they will progress through their disease. While their doctor can help them to understand their condition and how they might move through the five stages, your parent’s experience with PD will be personal to them. This means they might have a specific set of symptoms and then develop others unexpectedly. Having a home care services provider with them ensures they can provide proactive care, helping your parent manage their needs and stay safe throughout the experience rather than trying to respond after they develop. This can help them to stay safer and healthier, and keep their quality of life high as they age. If you or a loved one has been diagnosed with Parkinson’s Disease, let us help you. 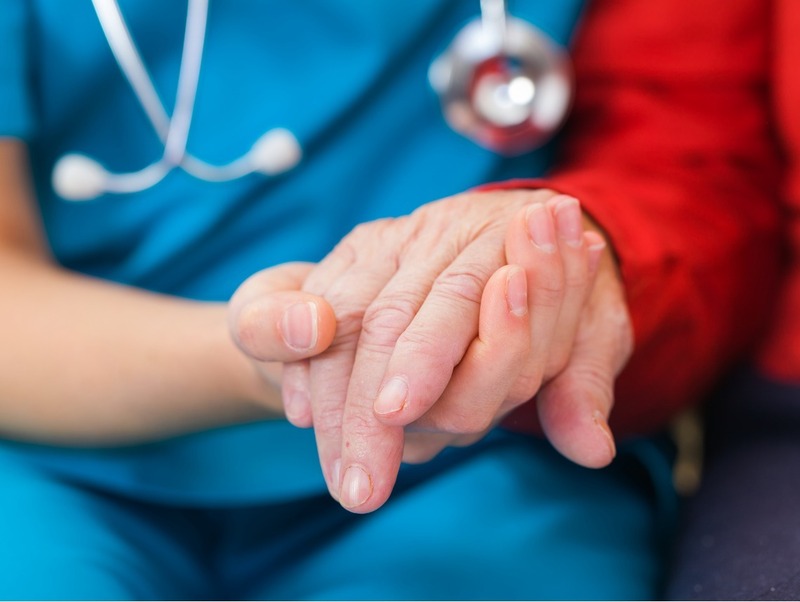 At Sonas Home Health Care, we have an entire team of experienced caregivers to ensure the wellbeing of our patients.